A Visual Approach to the Study of Religious Orders applies visual methods to the exploration of various facets of religious life, such as everyday lived experience, contemporary monastic identity or monastic architecture. Presenting a series of visual essays, it treats images not as simple illustrations but as an autonomous form of expression, capable of unveiling vital and developmental layers of experience, while inviting readers to examine and interpret the data themselves. 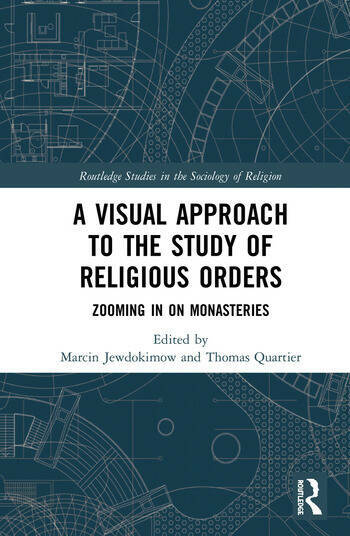 The first book of its kind, it brings together case studies from various locations across Europe to demonstrate what the use of visual methodologies can contribute to social scientific research on religious orders. As such, it will appeal to scholars and students of sociology, religious studies and theology and anyone with interests in religious orders. Marcin Jewdokimow is Assistant Professor in the Faculty of Humanities and acting Head of the Department of 20th and 21st Century Culture in the Institute of Classical and Cultural Studies at Cardinal Stefan Wyszynski University in Warsaw, Poland. He is author of Klasztor w perspektywie socjologicznej: w poszukiwaniu nowego ujecia [A Monastery in a Sociological Perspective: Seeking for a New Approach] (2018). Thomas Quartier, OSB teaches ritual and liturgical studies at Radboud University Nijmegen, The Netherlands, and holds the chair for Monastic Spirituality at KU Leuven, Belgium. The author of numerous books, he is also a postdoctoral research fellow of Titus Brandsma Institute, The Netherlands, Visiting Professor at the Benedictine University Sant’ Anselmo in Rome and a monk of St. Willibrord’s Abbey in Doetinchem, The Netherlands.